The internet and digital media have completely changed the way we live and do business... But are you using the power of digital media to achieve meaningful goals in your life right now? Digital Divide: We are witnessing a significant time in human history where a generation that lived without the internet co-exists with another generation that consumes media every single day. Digital Gap: The gap is no longer between who has access to the internet and who does not. Instead, the gap lies between content consumers and content creators - those who understand how to interpret media and those who do not. SHARESPARK is an online movement empowering people to utilize digital media to achieve meaningful goals. It is the force that will push consumers of digital content to become creators and masters of media. It is the shift to help you emerge alongside the evolution of communication technology and succeed in an ever digitally connected world. Through a website, YouTube videos, social media channels, and a newsletter, Sharespark will educate people about effectively utilizing digital media to communicate, connect, and collaborate with a target audience. Topics will include: digital and media literacy, online reputation, technology, personal branding, communication, and storytelling. Content will benefit a broad demographic - anyone who recognizes the potential of digital media as a valuable resource for accomplishing something. However, the real movement happens on #MAKEITMONDAY when users are encouraged to become content creators. Creating and producing media is the most effective way to understand the concepts surrounding digital communication. Every Monday, Sharespark will host a community challenge to create a media piece on a particular topic so that content is positive, meaningful, and productive. Upload it, share it, and use the hashtag for a chance to be featured. You might also win a prize! In order to spark a movement, there needs to be followers. Your donation is buy-in to this idea that digital literacy should be a core competency of active citizenship in the 21st century. Any amount will help! A hefty list, BUT know this: the movement has been sparked! Here is a video that's already been uploaded. Sharespark is already in existence and content is being uploaded every day. This summer also presents a tremendous opportunity for students to join the movement since they will likely be online more often. Website ads, YouTube ads, sponsorships, affiliate marketing, native advertising, and merchandise. About the Founder, Heather RamirezHi, I'm Heather! When I first set out to start my own business, I had planned to be a consultant/freelancer helping small businesses & nonprofits manage their social media marketing. However, as I learned more about digital strategies and media trends, I began to wonder why a lot of this information wasn't common knowledge. Why is this information only accessible to businesses and social media marketers? Large companies are driving how we use social media to live and do business because they have the luxury of risk (due to budgets, departments, reach, and brand awareness) in this new frontier of digital media. For most people, they remain consumers - you are a metric in the success or failure of companies' creative marketing efforts. But YOU can start using digital media to achieve YOUR personal and professional goals right now by using the technology that exists today! This is where Sharespark comes in. I thought about hosting classes or doing some kind of formal training but digital literacy is something that many people do not realize they need. To make a large impact like other media companies, Sharespark needs to have an active presence online where you already are - in your inboxes, in your news feeds, and on your phones. Sharing stories is one of the mantras of Sharespark because everyone has a story to share. The founding of Sharespark is my story. Follow my journey here and watch my first video! I'll leave you with this. By 2026, no one entering the workforce will have lived in a world without Facebook. In order to prepare the next generation of leaders, innovators, entrepreneurs, and workforce, our youth need to learn how to utilize, create, and interpret media to achieve meaningful goals. SHARE YOUR STORY. SPARK YOUR POTENTIAL. Digital literacy has always been my mission with Sharespark Media and my YouTube vlog. I feel like I’ve made a lot of progress on this entrepreneurial journey but one thing I’ve struggled with is explaining what digital literacy is. It sounds interesting and important but it’s difficult to condense all of the implications of the digital revolution in a single video or conversation. That’s why I’m excited to introduce Tom Buck of The Enthusiasm Project, a digital media production high school teacher. We’re working on something new that will hopefully educate and empower more people to utilize digital media to achieve meaningful goals. STAY TUNED!! This photo was taken on January 1st of 2016. I can’t help but look at this photo in amusement. I had NO idea what 2016 had in store for me. It kind of looks like I did since it’s a pretty epic photo but nope, I had no idea. A lot of this journey has been discovering what entrepreneurship was and my capability as a creator. It truly has been a life changing experience to identify a community issue that I feel so passionate about. 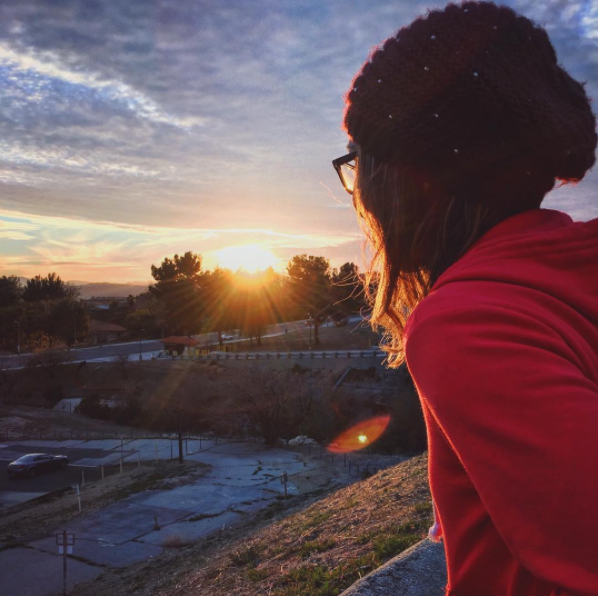 One of the things that I am most proud of is the Sharespark Media Hub (hub.sharesparkmedia.com), an online resource for people who want to learn how they can utilize digital media to achieve meaningful goals. I created a course for teens about how they can build a positive online personal brand which can help when they apply to college or a job. In a world where anyone with a cell phone has their own PR company, having a positive online presence can be an enormous advantage for a student’s career. The class is currently on sale for $129. As one of the first supporters of Sharespark Media, I would like to invite you to take the class for free in exchange for your feedback. You can use coupon code NEWSLETTER to receive 100% off the registration price. Again, I would appreciate any feedback you have to help me improve the course. In addition to the Sharespark Media hub, I have found that one of the most effective approaches to promoting digital literacy is to show people how I’ve been able to harness the power of digital media in sharing my own story. This is clear from the momentum that is building on my YouTube channel ( www.youtube.com/c/heatherjustcreate). For 2017, I plan to continue creating as much as I can to inspire others. I also plan to host more classes in person to educate and empower people to use digital media. Lastly, I’d like to thank you for taking a chance on me and for supporting my vision to help people become more digitally literate in our digital world. It is something I happily dedicate my life to and if you ever want to chat about how Sharespark Media can better serve the community, please reach out! I’d love to connect. I wish you a very happy new year full of success, happiness, and adventure! THREE MORE DAYS until 31. Donate $31! Sharespark empowers users to MAKE media. Why? "In terms of net impact, creative media production has been shown to account for higher levels of media literacy than consumption-based practices. Not surprising, given that, from a cognitive perspective, an increased participatory involvement facilitates deeper learning and stimulates critical thinking." -Ioana Literat. 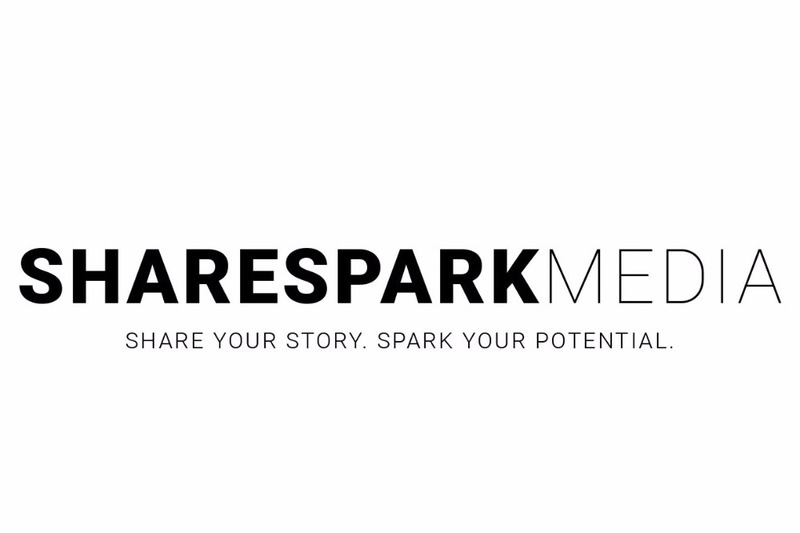 MAKE media - share your story, spark your potential! “All of this knowledge, available at your fingertips, knowledge is power, and to access the knowledge you need to be digitally literate. With this in mind would we not be doing our learners a great disservice if we did not prepare them to be digitally literate in this new environment?” -Cindy Plunkett. Donate $31 to Sharespark and support digital literacy for all! So very proud of you Het! I believe in you and this movement to expand digital literary. You're onto something that's going to benefit all generations. Keep going sis. We love you and are rooting for you! Hang in there. Good things will happen soon. This is so cool! I thought I knew a lot but watching you I realized I did not haha. I am following a goal of being an internet personality/influencer. I want to help people, and you are helping people like me, reach that goal! Good Luck! Let us know how we can help! Congratulations Heather! I'm so excited and happy for you! From a fellow entrepreneur, do yo thang girl! You're creating a business that helps people and inspires literacy and change! The world needs this! Ninong's and CO Creative Cartel support you 1000%!